New info @ Gold Strike and Arizona H.S. 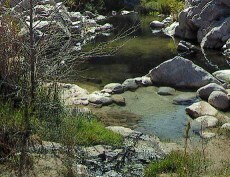 A lot of soakers from California visit these hot springs so I wanted everyone here who is interested know that I posted on Ricks site about my trip there last week. To get there from here click on Forum List and then click on Hot Springs U.S.A.